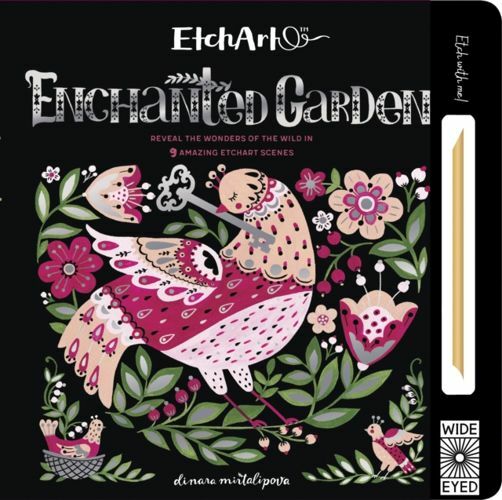 Uncover a magical world with your stylus as you etch your own folk-art in these innovative activity books. Embark on a journey through nature with this stylish folk-art inspired activity book. 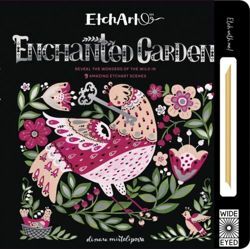 With your stylus, reveal the wonders of the wild in 9 amazing etchart scenes as you etch each piece and uncover jungle animals and other marvels hidden beneath stunning artwork made up of panels of special scratchable ink. With your stylus, remove all the ink, or create swirls, dots, and other patterns to personalise your very own piece of art. Let yourself be absorbed by this new mindful, creative hobby as you reveal the hidden beauty in each scene - and the artist in you!